Well, what can I say, what nearly 4 year old wouldn't love this game. 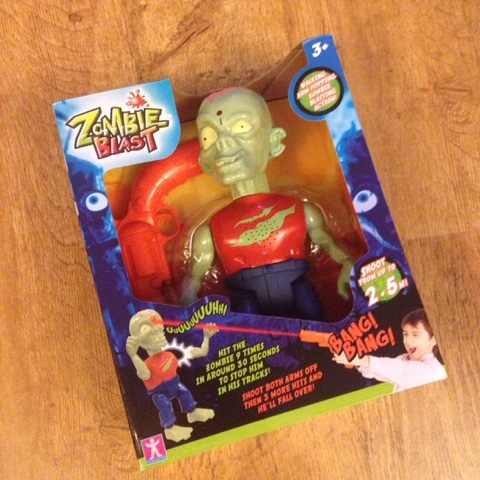 Quite simply zombie blast is a walking zombie who's arms fall off if you shoot it enough times! 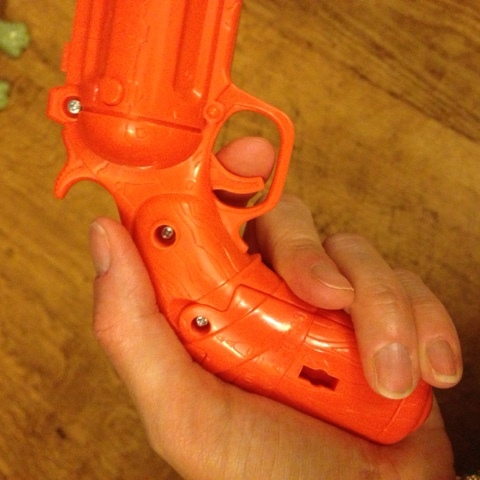 T loves it, from a parents perspective yes I can see it may not appeal to all, I was a firm 'no guns' mum until recently when he played with one at a friends. I'm really emphasising to him that this is a game and not something anyone would do really. Being a keen Scoody-Doo fan the fact that this is a zombie is really appealing to him. 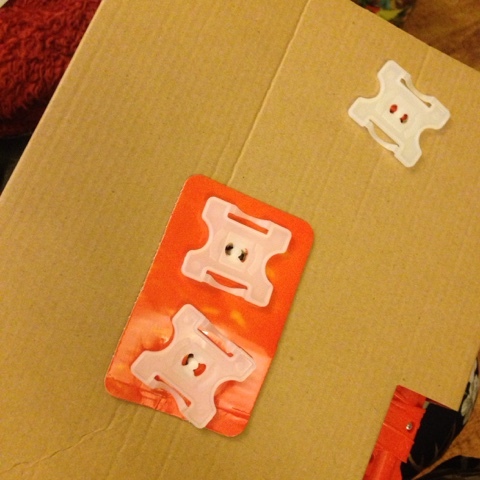 One thing that I thought was fantastic was the packaging, easy to remove clips hold everything together and with about 95% of the packaging being cardboard, nice and easy to recycle. I personally like to have games like this in a proper box for easy storage so that's a slight downside for me. The laser gun is really easy to use so even lite hands can pull the trigger, it does take a bit of skill to manage to shoot the zombie and I do like a toy that's a bit of a challenge rather than being easy to do from the get-go. 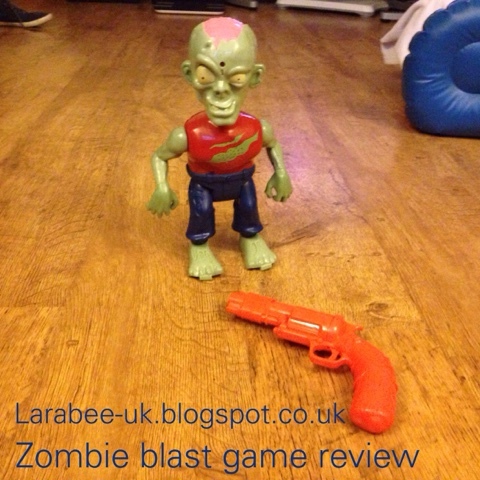 I'd say zombie blast would appeal to all ages I know T would have loved it just as much when he was nearer 3 and his 45 year old Dad really enjoyed it too! With a retail price of £24.99 it does seem a little expensive, but it's made from high quality durable plastic but I guess as electronic toys go it's not bad value for money as I can see many fun hours spent shooting! 4. It's easy to get out of the packaging! This looks fun, I reckon my son would love this!